I recently decided that I wanted to finish my upcoming book. I also envision it being over 100,000 words. I’ve been stuck at around 35,000 for now, so I decided I’d write 10,000 words in a single day to jumpstart myself. 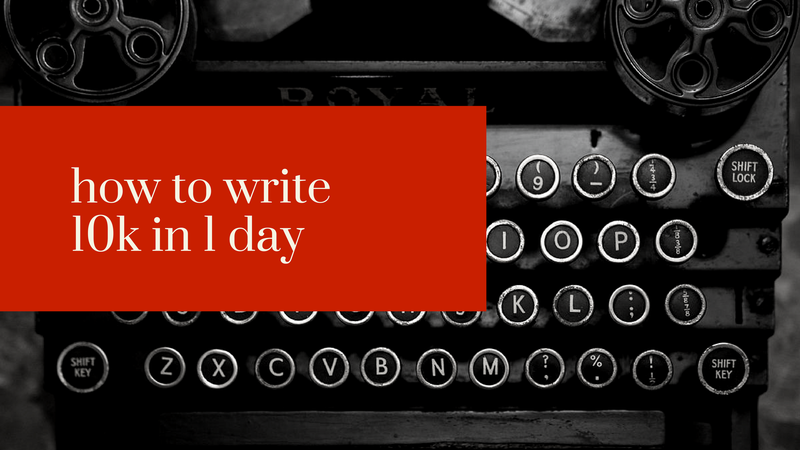 Here are some daily writing tips so you can pull off your own 10k in a day. Less than four hours. About 210 minutes if you want to be precise. That’s a pretty damn quick face. With that being said, here’s some daily writing tips so you could, theoretically do the same. If your fingers can’t keep up with your brain, you’re screwed. Well, it’s never going to keep up completely. Unless you’re a true idiot. But, your need to be able to get into a rhythm where your mind and fingers are in a rhythm together. I was typing 170 words a minute when I was 13 years old, so I don’t really have a ton of tips other than “type faster”—sorry. The program I grew up with using was Mavis Beacon. I do think it’s an excellent program and would love to send them business, but the bastards wouldn’t approve me for their affiliate program, so search around for the best deal and I’m sure you’ll find something; maybe start with “Mavis Beacon download free”. There are too many distractions out there in the world. Twitter, Instagram, YouTube…it goes on and on. If you’re not willing to just turn off the rest of the world, you won’t make it as a writer, blogger, or any sort of self-publisher. Use full-screen on your word processor of choice and stick to it. No distractions or dopamine hits until X amount of words (I try to do 1k at a time). Stop reading “daily writing tips” from different sources. Seriously. Most of it is just doing the work. And concentrating. Most people work crappy 9-5 jobs for 8 hours a day. You can’t focus on writing for three? Modern monitors are way too bright for normal human eyes to use for an extended period of time. You should use FLUX and also use a font type that is easy on the eyes (hat tip to Rob for the second one). Sorry to take all the fun out of it. Small habits form greatness, and there’s really nothing more to it. Speaking of greatness, I wrote this book in one day and it has nothing but perfect reviews.